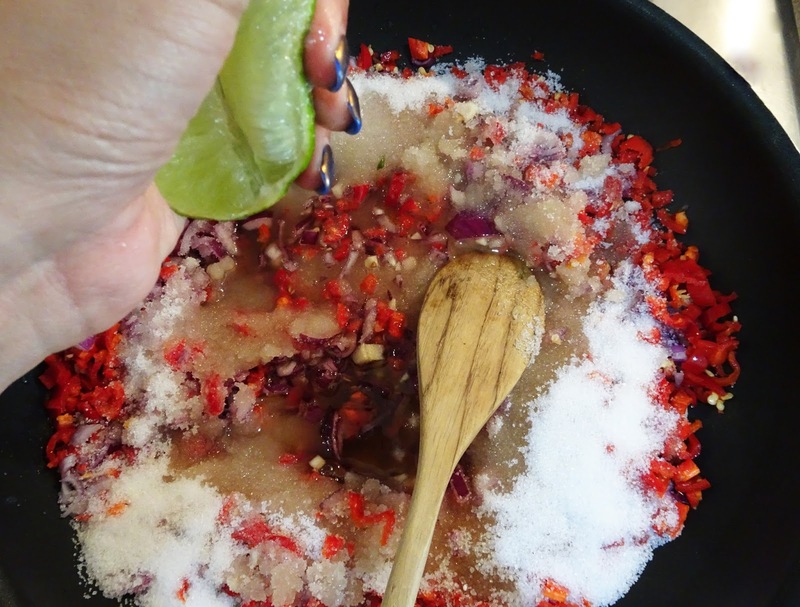 I haven't written a foodie post on the blog in such a long time! 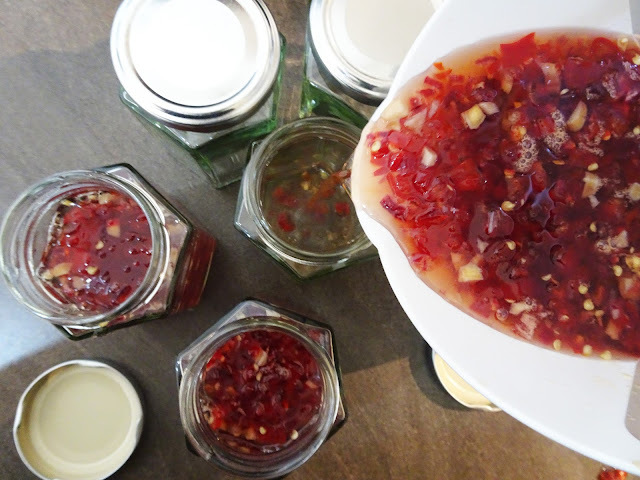 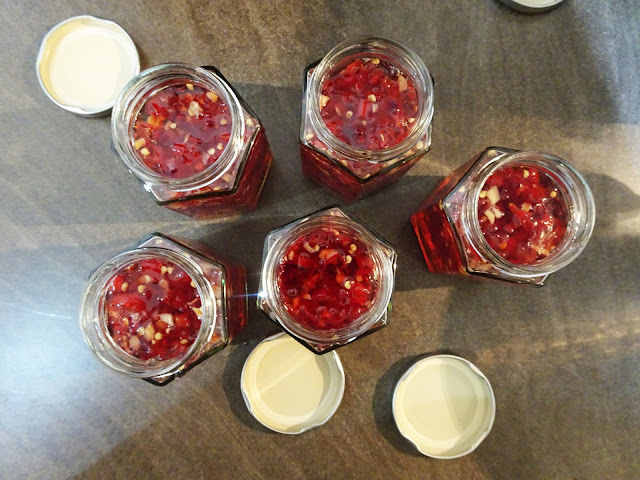 I made this chilli jam at Christmas to add to food hampers that I gifted to family members and it went down so well that I got asked to make another batch! 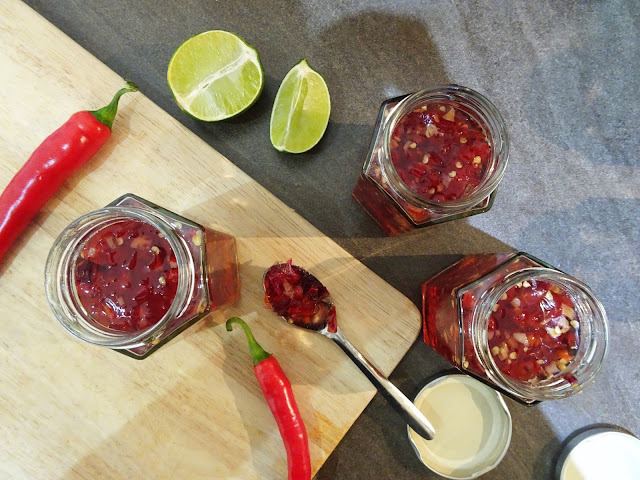 This jam is perfect with cheese boards, on burgers or as a side to most things! And here's how to make it.. 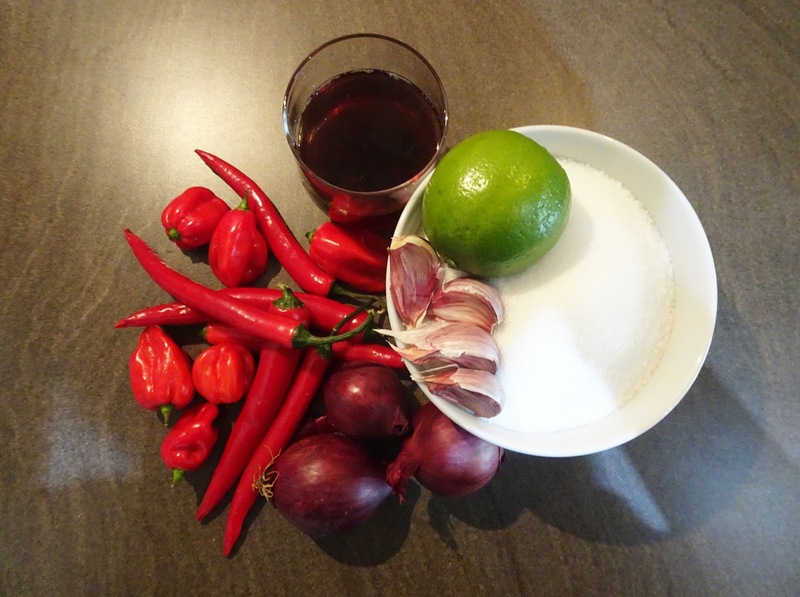 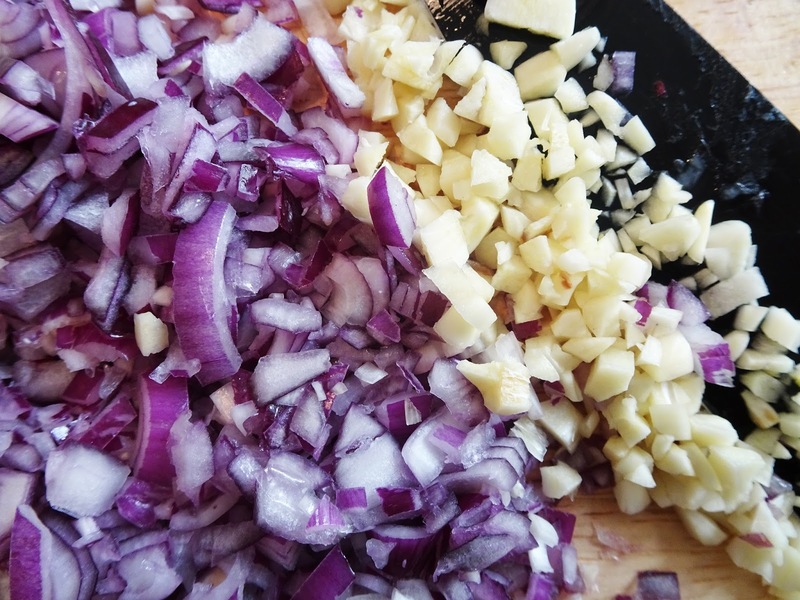 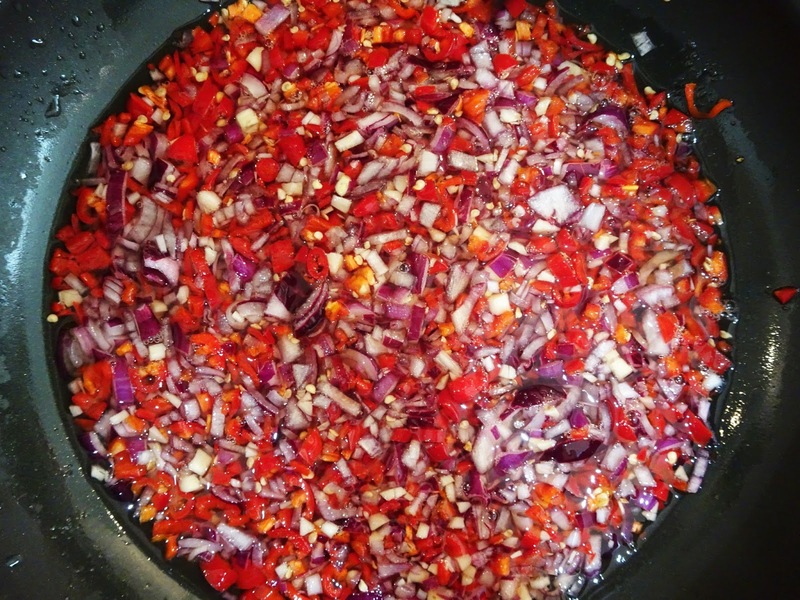 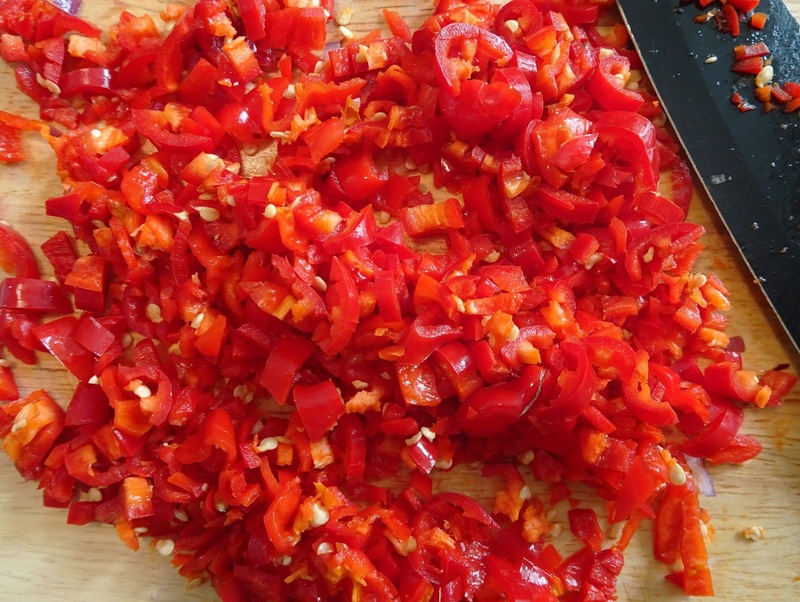 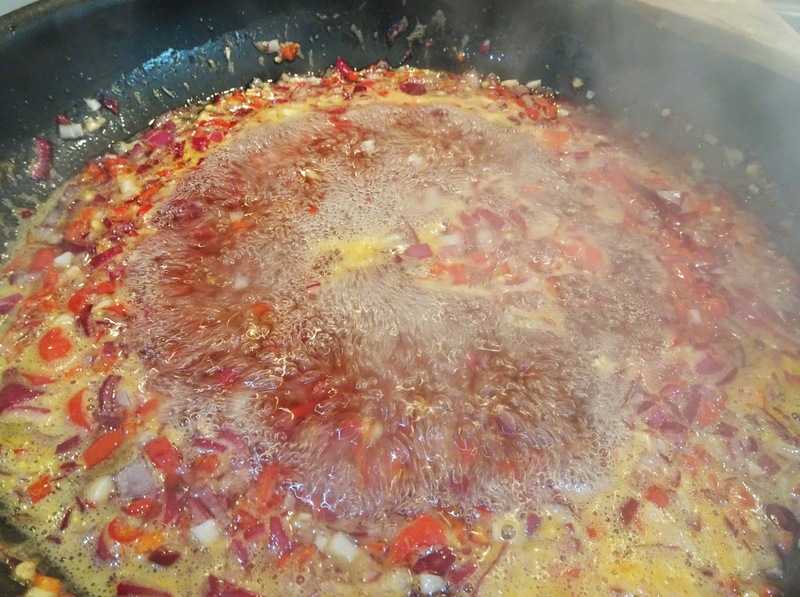 Finely chop your onions, chillies and garlic (or pop them all in a food processor). 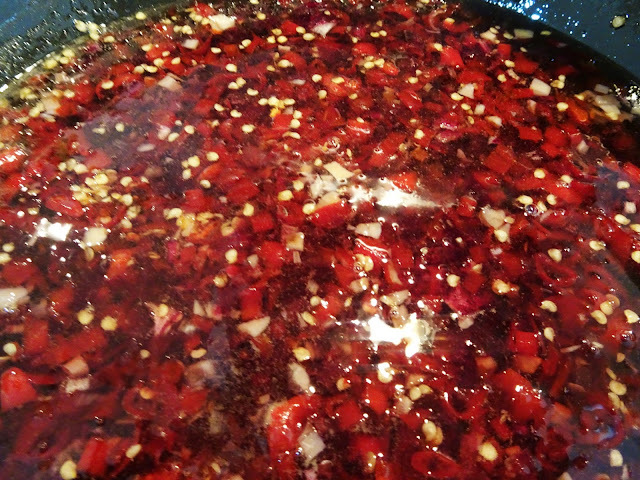 Then simmer the mixture for 30 to 45 minutes, until the liquid goes a little thicker and begins to look like jam. 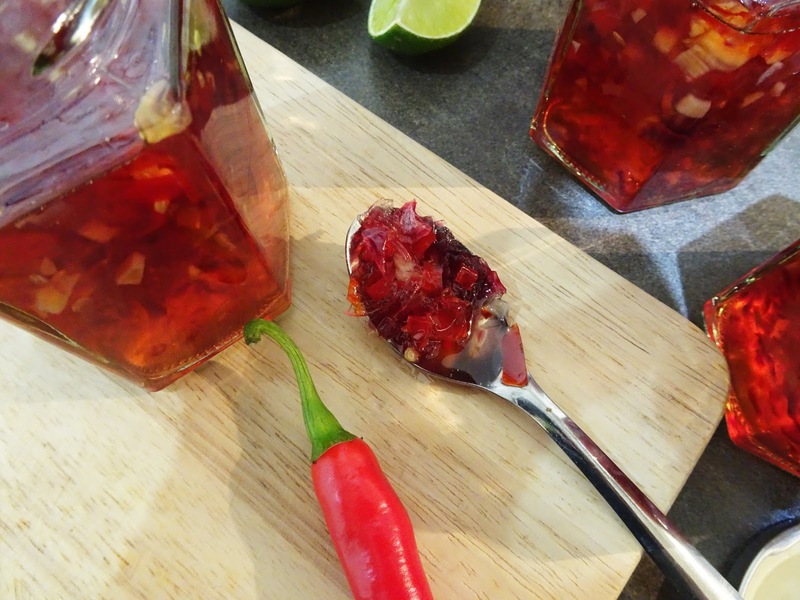 After it has cooled you can keep this in the fridge or grab a cheese board and get munching!